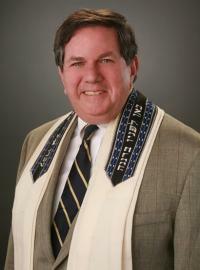 Clifford M. Kulwin has occupied the pulpit of Temple B’nai Abraham since 1999. In that time he has distinguished himself as a leader whose sermons, addresses and opinion pieces in the Star Ledger and the New Jersey Jewish News have earned him respect in the Jewish community and the community at large. Once a congregational rabbi in Rio de Janeiro and fluent in Portuguese, Rabbi Kulwin has maintained close ties with the Brazilian Jewish community there and in 2011 spent Passover officiating at community seders throughout the country. He also speaks Spanish, French and Hebrew, which greatly aided his global work during the fifteen years he was associated with the World Union for Progressive Judaism. Israel is a key concern of Rabbi Kulwin’s, and he has lead numerous congregational trips there, including volunteers who worked in the area of S’derot during the missile siege from Gaza. He actively recruits young people to travel to Israel for summer and study programs, and both of his own children were students there in 2010 and 2012. Rabbi Kulwin was born and raised in Champaign, Illinois, graduated from Macalester College and was ordained by and received a Master’s degree from the Cincinnati campus of the Hebrew Union College-Jewish Institute of Religion after studies there and in Jerusalem. He was also a Doctoral Fellow in Jewish history at Columbia University.